You have been working so hard packing and confirming all things these days for your new move to a new home. Finally, the day has dawned and you are so excited to start living in a whole new home. The atmosphere itself holds new dreams and expectations. So, here are some tips that will help you to make this day extra special with more care and vigilance. Take a look! Your movers will come to your aid on the set time. So make sure you have a place ready for them to park. Don’t arrange a place where is too far from your doorstep. The closer, the quicker you can make our move. Also, try to remove some of the obstacles that stand your way. Things like different garden statues, features, trees, branches and posts should be removed out of the way. If you can t remove them at least try to mark them so you won’t get harmed. Another is to remove all things that block the entrance. Don’t keep boxes and packages at the entrance. 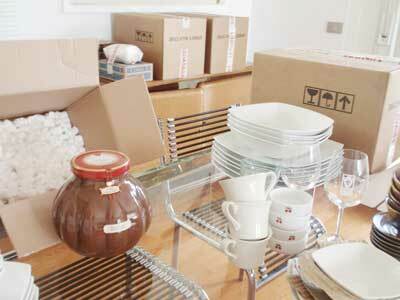 You need to make sure that the movers you look forward for, are fully trustworthy and have safety methods in moving all your items. You don’t want any of your valuables to be stolen or broken at the end of the day. Check online for movers near you. Whether you are moving to Australia from NZ, to another area or even to another country, there are different house movers that help you with different services. Moving items and loading them is an exhausting task. So, give your movers and yourself a small treat in the middle of the process. So, have plenty of snacks and water bottles ready to rely on whenever needed. You can also serve lunch or dinner to your movers. But some tea/coffee and snacks will do a great job to relax everyone and take a good break and get ready for the next round. Have any steps that are creaking or even not so stable? Warn all your movers about it. Sometimes you can forget these little reminders. So, note them all down so you won’t forget. Also, if there are any sidewalk breaks and hidden steps, mark them or even set ramps. Precautions like these will help you to avoid a lot of accidents. With all moving taking place your kids can be so excited and naughty as well. So, you need to keep an eye on them which is sometimes hard during the process. So, the best thing is to keep them in a daycare centre. But if they insist on staying home and watch the moving take place, then give them a pep talk and set boundaries.